The Study With Friends community includes a team of bloggers who bless us with authentic and honest musings about how their faith informs their life, and how life informs their faith. These blogs offer insights and advice from the heart. They are experiential. 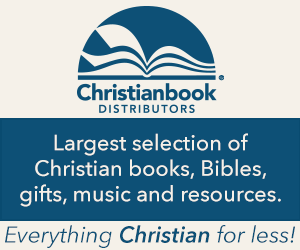 For instructional insights, visit our bible study page. My husband, Sean and I are considered the “sandwich generation”. Our children still require assistance and guidance in their schoolwork, we are involved in their boy scouts, sports teams, youth group, etc. And…we drive them there. Our parents range from 75 to late 80’s so we are assisting them when needed. Recently, my father-in-law suffered a severe infection with complications resulting in his being in and out of the hospital, a step-down rehab facility and finally, trying to regain independence in his own home which is becoming increasingly difficult. Let it go…let it go. We all recognize these words from a familiar Disney movie. Words that many times are much easier sung than done! How often do we hold on to minor offenses done to us by others…many times unknown by the “offender”? We either become angry and defensive or retreat into ourselves. I am guilty of this a lot, especially the retreating part. As I turn the pages of my bible I see notes of dates and events next to verses that brought me comfort or peace in hard times. Psalm 147:3, He heals the brokenhearted and binds up their wounds.” Next to that verse is written the date my grandmother died. Psalm 91:14-16, “ ‘Because he loves me,’ says the LORD, ‘I will rescue him; I will protect him, for he acknowledges my name. He will call upon me, and I will answer him; I will be with him in trouble, I will deliver him and honor him. With long life will I satisfy him and show him my salvation.’ ” The date written here corresponds to a time of painful and difficult parenting, when my autistic son was in middle school. I once spent most of a challenging year reminding myself to “Be still, and know that I am God” (Psalm 46.6). I used this time of loneliness as an opportunity to grow in my relationship with the Lord and also myself. I spent a lot of time journaling, reading, and learning more about the person God has intended me to be. God knows our hearts the best, so why not listen to what He has to say? Looking back, I am thankful for moments like that because it made me stronger by being open-minded during difficult times. Sure, Numbers can be a little dry and Hosea can be tough to understand (he married who?!?) but staying away from the Old Testament robs you of a deeper understanding of the Lord. After all, most of the Bible is Old Testament, so at some point we’re really going to have to buck up and give it a shot. Recently after band practice I listened to our kids’ conversation on the car ride home. Although they are enthusiastically committed, they typically vent out their complaints: the repetition and monotony, harsh conditions, tough messages from teachers with high expectations, unclear directions, difficult personalities, evolving and unforeseen changes, lack of progress. As I listened it crossed my mind that they could actually be describing my faith walk. I’m committed but complaining about similar things, just plodding along, uncomfortable, frustrated, discouraged by the cares of this world. There are seasons where this is generally the norm more than the exception. God never promised we would live pain-free. My identity as a mom has indeed changed as my kids have grown. Now that I am raising 2 teenagers and one tween, I am no longer perceived as the wonder woman-mom they idolized in infancy and toddler hood. Mothering used to be sweetly characterized by singing songs in the rocking chair, playground swings and glittery art projects; now it involves chauffeuring, arguments, whining and drama.